There are many things I love about these bracelets. 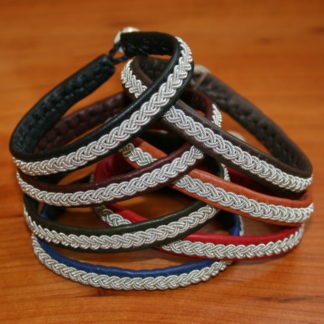 The reindeer leather is soft and comfortable and their overall design and construction is casual and unique. For people with metal allergies they are the perfect solution since the pewter thread doesn’t come in contact with the skin. 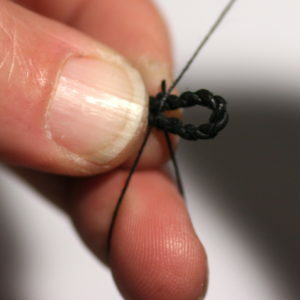 I have a tendency to wear my bracelets all the time and naturally over the years the loop can wear out or I catch the whole business on a door handle and the piece needs to be repaired. 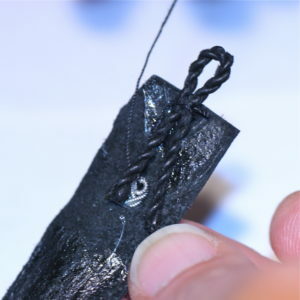 So, you or someone you made a bracelet for has broken the loop and or lost the antler button that holds the piece together. What do you do? 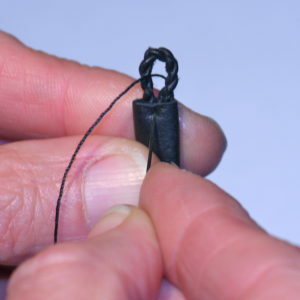 I recently had an inquiry from one of our blog subscribers regarding the repair of a much loved bracelet and after a few emails I thought it would be a good idea to offer up some tips and tricks for fixing the clasp ends. 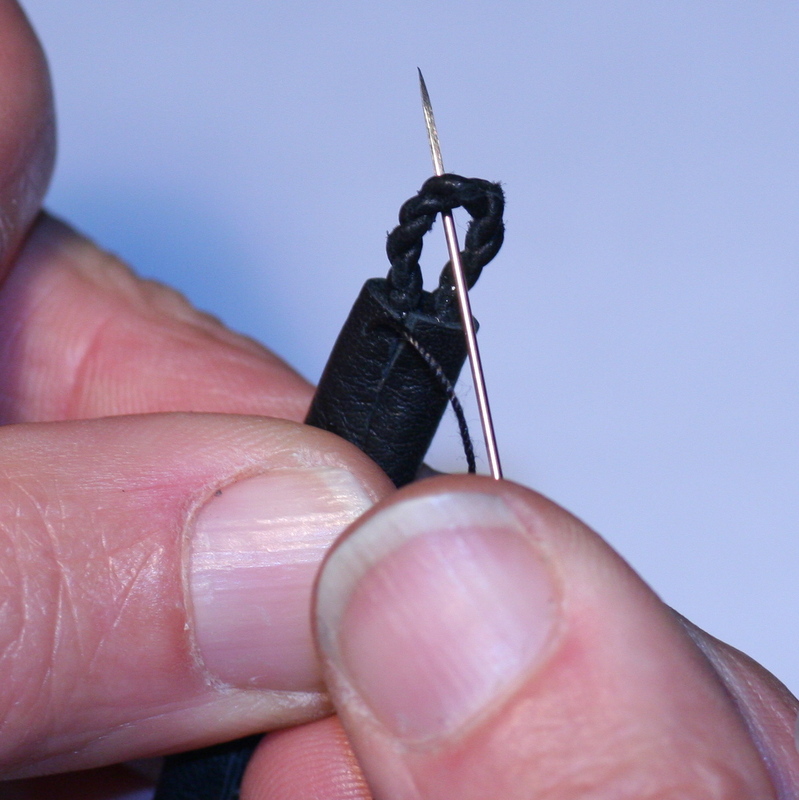 There are lots of ways to fix a broken loop or attach a new button provided you are brave and have the proper tools and materials. The loop and button are the hardest working components of your bracelet. I’ve done a lot of repair on my own work and the work of other students and artists. If the loop has come out or broken it’s best to start out with a new bit of leather cord and follow the directions below. 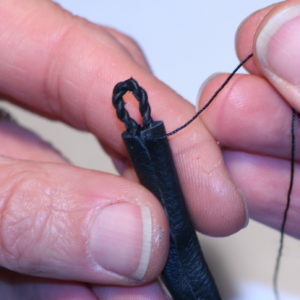 You’ll need to use a sharp scissors to clip the stitches open on the back of your bracelet (about an inch of the way down) and open the seam. 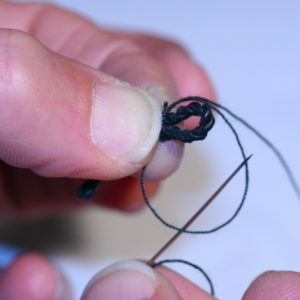 Pull out any leftover pieces or loose threads. 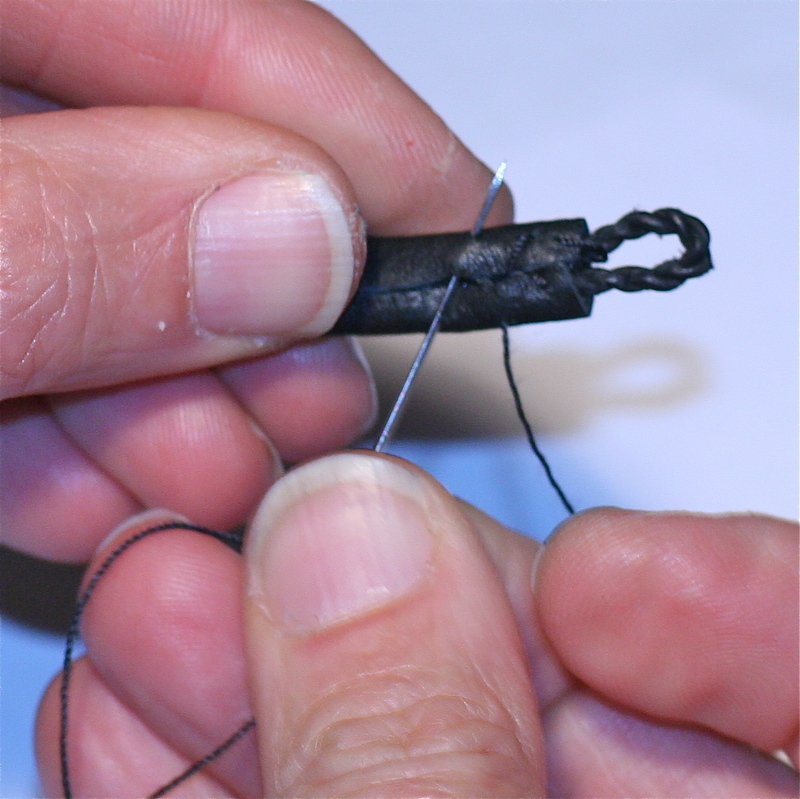 Thread a glover (leather) needle or a sharp round needle and knot one end with synthetic sinew. 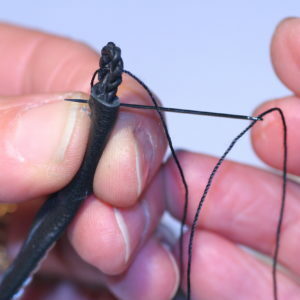 You can also use cotton polyester thread in a pinch, however synthetic sinew (which is really waxed linen) offers a bit of waterproofing and lasts longer than the cotton thread. I like to wrap my thread around the loop and tie a knot. Next I’ll anchor the loop by doing 2 stitches through the strip. Bring the needle back through the open loop as shown and spreading the section of your loop legs apart, pass the needle under the wrap. You’ll be working back to front. As I mentioned, do this twice. Bring the needle back through the loop and stitch the back of your bracelet closed. Do you have a have bracelet that needs to be fixed? Shoot me your questions and let’s get that bracelet back in shape! Don’t forget to subscribe to our blog -I’d love to hear from you.